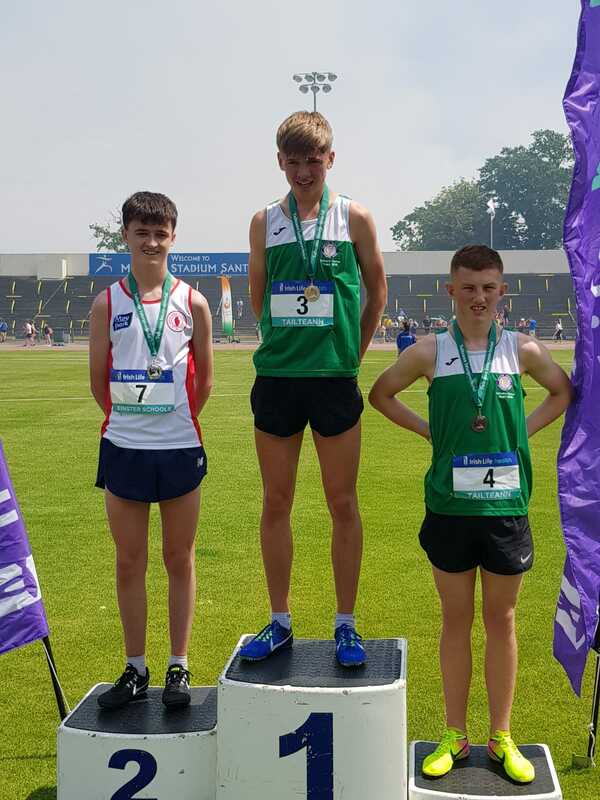 Sean Donoghue pictured on the podium following his fine win in the Tailteann games 3000m in Santry today. He still has another year in this age group and he will now be off to Scotland next month for the schools international.well done Sean! Clare Murphy was a late.call up for the 300m race and did her best but will learn a lot from the experience.